# 5 is Take Your Time! 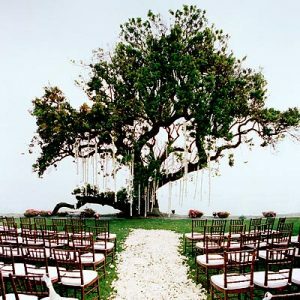 It’s easy to get caught up in the moment the first time you see a venue and imagine your wedding there. Remember that you want your big day to be as easy on you and everyone else as possible so making sure a venue meets your logistical needs must be a high priority. Unique locations are becoming increasingly popular as weddings become more of a reflection of a couple’s personalities, but these types of venues often aren’t able to provide as many of the amenities as traditional locations. Do you prefer a venue that will handle all the aspects of your wedding or do you have specific vendors you want to work with? If a venue is full-service, you may end up disappointed when they require you to use their vendors. If you choose a non-traditional location, you need to make sure you’ve covered all your bases. Ask about liquor licenses, fire marshal requirements and liability insurance to name just a few! You will have to decide if only close friends and family will be invited or if your third cousin once removed can have a plus one. If you are set on 300 wedding guests, your field of possibilities will be narrowed down to hotels and other large venues. On the other hand, a small wedding will be out of place in a large hotel, and you should look for a more intimate setting. Some venues are gorgeous in summer, but fall flat in winter. 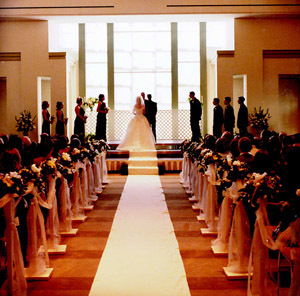 Make sure your venue is going to look beautiful at the time of your wedding. Look at the location like a photographer would. Pictures last forever! Venue managers are there to answer your questions, so make sure you ask. It’s better to ask twice than misunderstand. Do research online too, but remember that emotions—good and bad—are often running high when people post anonymous reviews. You won’t be able to control every aspect of how your wedding turns out, but by taking a thoughtful approach to picking your wedding venue, you’ll be able to remove one of the biggest stresses!